The first journaling question in Journaling in Eating Disorder Recovery is about body image. The author asks you to journal about what your eating disorder is doing to your body. She also asks you to contemplate whether your body image is worth these effects. My eating disorder mostly involves bingeing, which is good for neither my body nor my body image. After all, it not only causes me to be nauseated after a binge and get acid reflux (I believe this is also triggered by bingeing and not just by purging), but above all it has caused me to gain about 40lbs in a two-year period. As a result, I am now about 30lbs overweight. This of course results in poor body image, because, you know, I don’t just think I am fat. I just googled the physical effects of bulimia, and some I find are related to bingeing. For example, people who binge get a bloated stomach and stomach pains. The bloated stomach causes it to take longer before you feel full. A severe binge can even lead to a ruptured stomach. I have many of these symptoms. Of some symptoms I found, it isn’t stated whether bingeing, purging or laxative use causes them, but I have them whichever is the cause. 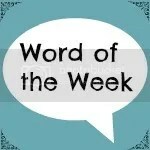 For example, one source listed acne as a possible effect. I use to think I’m too old for acne, but nonetheless I do get an eruption when my eating disorder is particularly severe. Effects that aren’t mentioned, are the long-term consequences of obesity. Think, for example, type 2 diabetes. I don’t know where he found this so can’t check the source, but my husband says that eating lots of sweets is now thought to actually lead to type 2 diabetes because of leading to a chronically elevated blood glucose level. Is my body image worth these consequences? Of course, my body image is damaged by my being obese, but what if purging actually causes weight loss? Note in this sense that in my case it hasn’t led to weight loss, but just suppose it did. Then, still, I would have to say that health is more important than outer beauty. I do, however, sometimes believe that purging can’t hurt while obesity can. In this sense, I weigh the health risks rather than the effects on my body image. Or do I? After all, people’s encouraging obese people to lose weight for health reasons is generally coupled with a lot of shaming of people’s fat status. Even if other people don’t say so, I tend to think that I need to lose weight to be good enough. I still tend to think my husband doesn’t find me attractive even though he’s stated a few times that his reason for encouraging me to lose weight is my health. Other people, like some staff, do more clearly fat-shame. For example, we get metabolic screenings, including waist measurements, every six months to a year. At my last screening, the nurse took my measurements and then commented I really need to lose weight. So far it could still be interpreted as pure concern for my health, but another patient was next. She took this woman’s measurements and then commented to me: “See, it can get worse.” That really was an unnecessary comment that instilled shame rather than motivation to get healthy. I have truly been relapsing in the eating disorder department lately. I don’t really know why, other than the fact that I’m quite irritable lately. This, though, seems to be a vicious cycle: I go from irritability to thinking about bingeing or purging to actually bingeing or purging and back to irritability. In order to help myslef think clearer about my disordered eating habits, I bought the eBook Journaling in Eating Disorder Recovery by Laurie Glass. The book contains a multitude of suggestions for journaling yourself into recovery. One of the suggestions is to make lists, for example of feelings or thoughts. I really love list-making. The book also contains journaling questions. I don’t know whether a pro/con list for your eating disorder is in them, but I made one recently. I made it for a pro-eating disorder site that I used to go to, but I left it. I might still be a member but don’t want to trigger myself by checking the list there. Let me make a new one. Feeling something in my body rather than in my mind. Being able to eat as much as I want of the foods I love. This one isn’t really true, as I’m not sure I want to eat till I’m nauseated. I however have the thought that if I recover, I need to adhere to a strict diet and can never have candy or pizza again. Avoiding the physical and mental sensations of hunger. Expressing that I’m not feeling well. This may be in the sense that eating disorder behaviors are a cry for attention, but also that they impress the reality of my struggles upon myself. Avoiding pressures such as college or work or independent living. Weight gain and the resulting obesity. Acid reflux from purging. Possible esophagus damage as a result. Not being able to engage in healthy social interactions because of having food on my mind all the time. As you can see, I find I can think of far more pros for my eating disorder than cons. However, ultimately, these pros are based on the idea that I do not cycle from irritability to thoughts about disordered eating habits to eating disorder behaviors and back to irritability. In reality, the stress relief, for example, is very short-lived. For instance, I just binged terribly about an hour ago and have been feeling guilty and angry for the past thirty minutes at least. 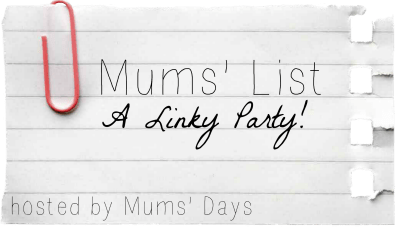 This week, Mums’ List is being hosted by Aby of You Baby Me Mummy because Hannah of Mums’ Days is on holiday. I haven’t reflected back on the week yet, so this is the perfect time to do so. Haven’t been too crafty this week. Finished a card for my mother. It was about time, because it’s an extremely late thank-you card for my birthday presents. I forgot to scan it before I put it in an envelope, so no picture, sorry. Other than that, I have only just started working on the Christmas card I said I’d make this week. Received my art doll for a mixed media swap I’m in. Haven’t even started working on the one for my swap partner. The deadline isn’t until October 1. Ate out twice this wek. Once, on Thursday, I took my husband to the local Chinese restaurant. I loved my gon bao chicken. On Friday, we ate out while we were shopping for jeans at a nearby wholesale store. Thankfully, I still fit in the same size I had last year – which is still three sizes above the size I always had, but well. Had a horrible week re my eating habits. Binged on winegums on Friday so badly that I was sick all day yesterday. Got fries today anyway. Had binge eating episodes on two other days this week. Did go to the gym on Thursday. Both my computers are still working, but now my braille display is acting up. Have been reading Angels at Our Table edited by Ann Breen. It’s a book of stories from families with Williams Syndrome children. Started over with my Facebook page – again. This time, I was actually planning to stick to it, but since I hardly do photos and since WP won’t let me share posts to both my page and my profile, I really don’t know. I could seriously use some advice on what’s the point of a Facebook page and how to use it. 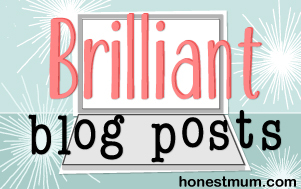 Did write not just one but two original blog posts. Most inspiring read: Emma’s guest post on fetal valproate syndrome for Victoria Welton’s blog. This is something I want to learn more about. 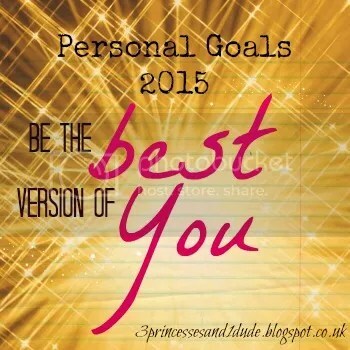 I don’t really have goals for the upcoming week, other than finally kicking binge eating’s arse. I have a dietician’s appointment on Friday and a therapy appointment on Tuesday. Will discuss the binge eating issue with my therapist – the dietician already knows. I am feeling a bit stressed out after my computer started acting up again – not as in it being broken, just as in having a hiccup. 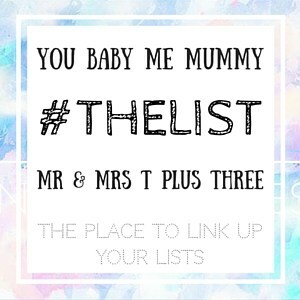 I am also missing out on inspiration for my #Mumslist post this week, because I haven’t been online much. I thought I’d put these two frustrations to good use and make a list of positives of the week. Made not just two but five loom bracelets this week. Am working on a sixth one. The above pic shows a bracelet I made for a nurse. With today being the exception, the weather has been quite nice over the past week. I reached my goal of going to the gym this week. Did buy candy more than once though. I did have a binge eating episode on Friday, but let’s just consider that a slip up. The nurses made delicious macaroni for us yesterday. Had a delicious ice cream on Tuesday. Both of my computers are usually fuctioning again. Made phone calls to my mother and sister. My sister, who earned her Master’s in history a few weeks ago, got word that she may be accepted into teacher education after all. And here are my goals for the upcoming week. Make a Christmas card for a swap I’m on. Yeah, cardmakers make and sometimes swap Christmas cards all year. Start working on an art doll for a mixed media swap. I don’t really know what an art doll is, but one of the usual activity staff will be back from vacation this week so I can ask her for inspiration. 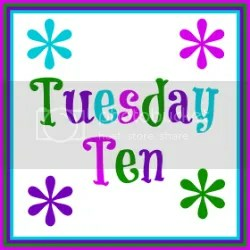 Write one original blog post (so something other than Tuesday Ten, Word of the Week, etc.). On Tuesday evening, I wrote here on the blog that my husband can usually fix my computer. That same evening, someone from Freedom Scientific, the screen reader company, called to get into my computer through some kind of distance control, in the hopes of fixing a problem I’d been having for a few weeks, which my husband had been unable to fix and for which he’d blamed my screen reader. After the Freedom Scientific person fiddled with my computer for a bit, it was worse than it was before. She recommended system recovery, which my husband tried on Wednesday, but failed. He took my computer to his place to reinstall Windows. Since I hadn’t been able to use my computer from Tuesday evening until last night, and I didn’t compensate for the lack of a computer with a smartphone (which I don’t own) or TV, this was largely a screenless week. It was less of a boredom-filled week than my week without Internet acccess last May. I am thankful for loom bands in this respect. Thursday was actually the most boring day, because we had a rather weird activity staff. 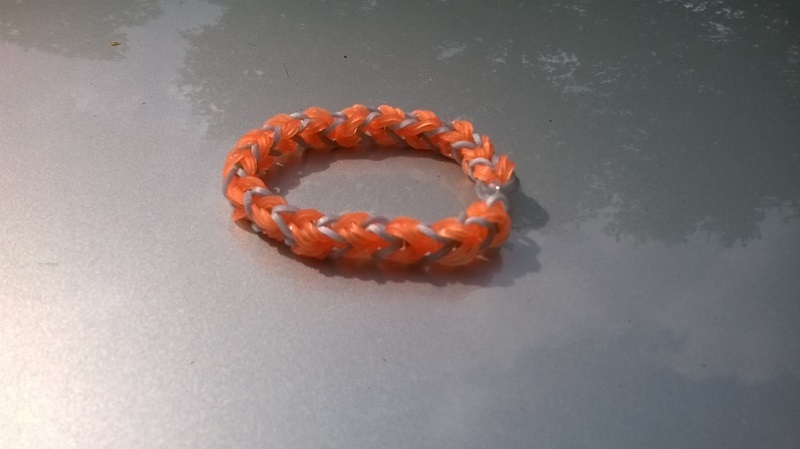 I need some help with the loom bands, although after almost a week of nearly fulltime practice, I can almost entirely make a fishtail without help – the only thing I haven’t figured out is how to attach the clip on one of the ends of the bracelet. Anyway, the other clients and I spent Thursday morning in the room pretty much keeping busy by ourselves because the man had no clue what activities we were doing let alone how to help. Besides, he went on a 45-minute cig break – thankfully there were no clients who needed to be accompanied by staff at all times. After this hilarious if not frustrating morning at day activities, I decided not to return for the afternoon. Instead, I did go to the gym, which was one of my goals for the week anyway. A nice nurse worked the evening shift and there was some extra staffing, so she offered to help me with the loom bands. We decided to make a loom band heart for my husband. Unfortunately, I fidgeted with it too much so that a band snapped shortly after the thing was finished. I hope this isn’t somehow symbolic. Yesterday, my husband brought me both my new computer, the one on which Windows needed to be reinstalled, and the older one, for which he had to replace the keyboard. Unforutnately, the old one returned a weird error upon startup and I forgot the password to the new one, so I had to wait for my husband to finish his late shift at work at 11:30 PM to give me the password. Today, he also “fixed” the older one – it wasn’t broken. Yay for my husband and yay for two working computers! This week’s Tuesday Ten is all about friendship, in honor of National Friendship Day. Lisa of The Golden Spoons explains the origins of National Friendship Day. Like most holidays, it’s higly commercialized. Unlike others, it actually originated as a commercial celebration, having been invented by Hallmark. It’s apparently formally recognized by the United Nations now. Like Lisa, I am quite introverted. I don’t have anyy good friends, unless you count my husband. My problems with friendship usually come down to reciprocity, or the lack thereof. I either share too little, ask too little about the other person, or I pour my heart out too soon. Consequently, I, too, will have my husband as my best friend. It’s not that he doesn’t have to put up with my lack of reciprocal interaction, but apparently, he loves me anyway. Here are ten things I love about him. He is patient. He kept coming to the locked psychiatric unit when I was there and we weren’t officially in a relationship yet. He patiently waited for me to answer that I loved him too. He is funny. Usually. Sometimes though, his politically incorrect jokes drive me batty. When he’s determined to do something, he goes for it. He’s sometimes frustrated when I give up too quickly in his opinion. He plays and dances with me when one of my inner children is out. He handles my mentally ill moments really well. He is usually honest but gentle. He has a lot of knowledge and is a great debater. He helps me out when it’s noisy or I can’t communicate clearly for another reason. He loves me in spite of all my quirks. It’s been a long week. The week-end was a bit boring, as on Friday night, my computer suddenly caught a bug or one that had been there all along was activated. The startup screen suddenly wouldn’t work anymore, the screen would first turn purple and then black, and the computer wouldn’t shut down properly. My husband came around on Saturday to try to fix it. This is the newest of three semi-working laptops I own. The oldest still has Windows XP on it and has a broken Enter key. The middle one, I spilled tea over two weeks ago, destroying the keyboard and making the computer essentially useless. My husband has already ordered a new keyboard via eBay at his go-to laptop keyboard shop in Hong Kong, and I’m hoping that in a few weeks, I can use this laptop at least as a spare laptop again. The newest, this one, he could fix only partly. I now have most things I’ll need on a regular basis on my desktop, and the shutdown issue is solved. The screen still turns purple and black, and my husband found out it happened whenever my screen reader starts. Someone from Freedom Scientific, the screen reader company, will have a look on Tuesday. In the meantime, my other hobby besides the computer that I can do mostly independently is looming. Unfortunately, I broke my loom last week Friday and, though I ordered a new one immediately, the stupid people at the online store first forgot to package it along with the other supplies I ordered, which I therefore did receive. Then, when I sent them an extremely formal E-mail asking them to send the loom, they replied with an E-mail almost in text speak, saying they’d resend it. Yesterday, I got an E-mail that they’d sent it to the wrong address and the recipient would forward it to me. The store has too cute supplies not to order there again. With all this waiting, it shouldn’t come as a surprise that I choose “patience” as my word for the week. It’s only been as of yesterday that I can almost fully use my computer. On Tuesday, I ordered a cheap loom along with some lovely looming beads at one of my favorite online jewelry-making stores. It arrived this morning, and I’m so glad. After a little bit of experimenting with this loom, I figured out how to make a fishtail bracelet with beads on it. I chose butterflies and letter beads to form my name. Unfortunately, I don’t have a picture, but I must say the result is quite good. I am having a fulfilling day at last. Patience does pay off.